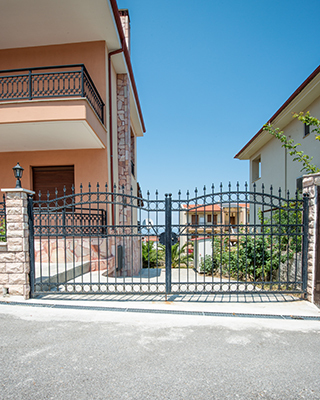 For the installation of new gates, choose our company with confidence. We have long-term experience in the industry and keep up to date with the latest trends. This enables us to give our customers perfectly functioning new systems with strong panels, strong hardware, reliable openers and intercom and great looks. 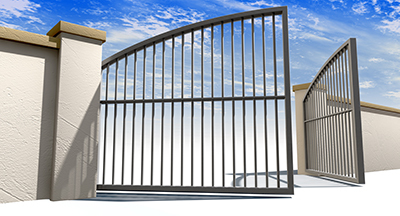 No matter how large or specific the project is our company, "Gate Repair Laguna Hills", will take it up and complete it successfully in the shortest possible time. Everything will be done for you. You will simply need to start using the automatic system. Once you decide to have an electric gate installed, you can leave the rest to us with confidence that the work will be done effectively and quickly. All of our customers receive full assistance throughout the comparison shopping process. We will help you to select the ideal gate, electric operator and intercom for your needs. It is easy to compare driveway gate openers and entry systems when you know exactly what to look for. It is our commitment to ensure that all devices, metal parts and structural components which will be installed will be of top quality. The metal parts such as sliding gate wheels, for instance, will be made from galvanized steel and have the highest possible thickness. In this way, they will be completely reliable and very durable. The work will be done following a well-developed plan and a precise schedule. This reduces the risk of glitches and delays to the possible minimum. All structural components and metal parts will be firmly set in place. No matter whether you get a wood, steel or wrought iron gate, it will receive protective coating during the installation process for safeguarding it from the elements right from the start. You will be able to pick the weather-resistant material depending on how you want the gate to look. The moving metal components such as hinges or rollers receive lubrication to work perfectly smoothly and make a minimal amount of noise. All stationary electronic components including the opener and safety sensors are mounted securely and adjusted to work in line with the specs of the gate. Our service includes the installation of loops made from strong protected wire as well. They are connected to the safety sensors reliably for maximum protection at all times. The remote controls are programmed to ensure proper use right from the start. The transmitter and receiver are set firmly into their places and programmed as part of intercom installation. In order to keep the system as perfect as on day one, you need to provide full maintenance. If you are busy, we can take over this task. Our professional service includes inspection, testing, cleaning, lubrication and gate repair when necessary. Leave us a note now.